When I brought him for the first time, he got in line in total amazement of the people around him. He couldn’t believe how many there were. I said hi to a lot of people I hadn’t seen in years or at least since last Bread and Cheese Day. We stood in line until the parade went through and we all began the traditional shuffle towards the entrance. We get to the door and every mother who has more than one child whips out the infamous white plastic bag that will carry that precious booty of bread and cheese home. My husband then tightly grabs one of our children and I take the other and like groupies at a rock concert we’re swept away into the crowd. We yell to each other as the current of people separate us, “I’LL MEET YOU ON THE OTHER SIDE!” When we are safely reunited outside the building there is a total look of amazement on his face. He’s smiling with the look of someone who has just survived a double looped corkscrew rollercoaster ride. I think he passed through the line and came out a changed man. With bread in one hand and cheese in the other he looked at me and said, “I get it now. It’s not about the bread and it’s not about the cheese is it?” I smile at him and, at that moment, every Bread and Cheese Day I had gone to flashed by. All the times I stood in line with my parents, with my sister and I running between their legs. I remember spending the afternoons at my grandmother’s house with our cousins from Rochester. I remember playing at my other grandparents’ house in the barn with all the Bomberry kids! It sure isn’t about the bread and the cheese. It’s about family, it’s about community and it’s about coming together for a day to celebrate. If you’re from Six Nations then you have been raised on bread and cheese. And no matter where you are in the world on the 24th of May weekend, your heart will be here. …… Bread and Cheese, what a great holiday! A day off from school and a parade, all for a big slice of bread and a big chunk of cheese, a day of celebrating what we call Bread and Cheese. May 24th on the Six Nations of the Grand River Territory had been referred to as Victoria Day. 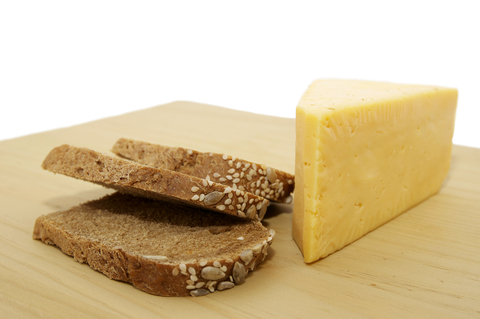 The event of handing out bread and cheese began during Queen Victoria’s reign in the early 1860’s. It was in recognition and appreciation of the native’s loyalty to the Crown during the American Revolution. This became a tradition funded by the Queen’s Treasury, until her death in 1901. In 1982, it was changed to Independence Day. The Six Nations Band Council revived the event in 1924, and it became known as Bread and Cheese Day.